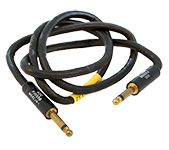 70" x 1/4" mono extension cable. Stranded conductor. 22 AWG. Mil-spec. Solid brass connectors. M642/4-1 (PJ-055B) on one end, M641/4-1 (JJ-026) on other end. 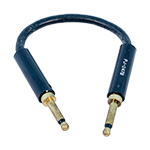 36" long, cloth coaxial cable, 1/4" stereo plugs each end. White. Switchcraft (PJ-327) dual cord assembly. Gray woven cloth cord. 4 ft. long. Dual 2 circuit 1/4" plug. DSA400-72-A-0874-0055. NSN: 5995-00-665-7394. Lynn dual cord assembly, telephone. 2 LP-425A ends. Black woven cloth jacket. 3 ft. long. Dual 1/4" 3 circuit. DLA400-83-M-G938. NSN: 5995-00-451-5964. Cord assembly. 4-1/2 feet, (54"). Shielded, cloth covered, gray. 1/4" stereo phone plug each end. Military surplus. Dual 1/4", 3 circuit cable. Woven cloth. 37" long. Dual ADCPJ327, 2 circuit 1/4" phone plugs on black woven cloth jacket. 52" long. Also known as M642/9-1. 1/4" mono phono plug, woven cloth jumper. 24" long. PJ-055B each end. Incredible quality!! NSN: 5995-00-725-5848 or 5995-00-854-9096. Audio cable. 48" long. 1/4" mono brass plugs. M642/1-1 at each end. Red woven jacket. 5 dB pad in-line (not removable). NSN: 5995-00-752-2495. Audio cable. 1/4" phone plug on each end. 5' long. Mono. 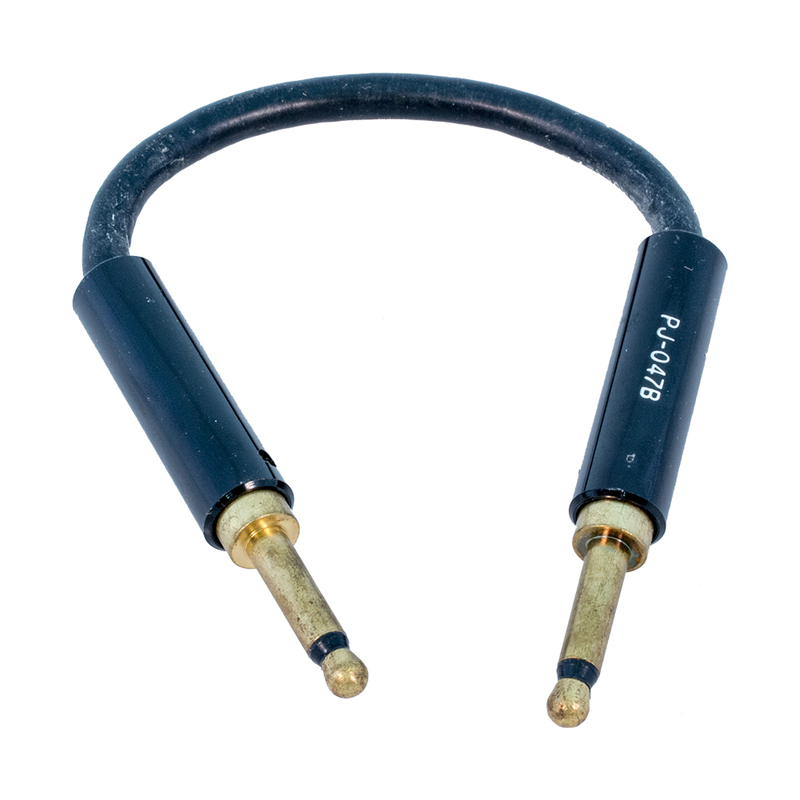 Molded connector, rubber jacket cable. 30"L mono patch. 2 brass, 1/4" mono phone plugs. M642/1-1 each end. High quality red cloth jacket. DLA400-88-F-0024. NSN: 5995-00-752-2515. 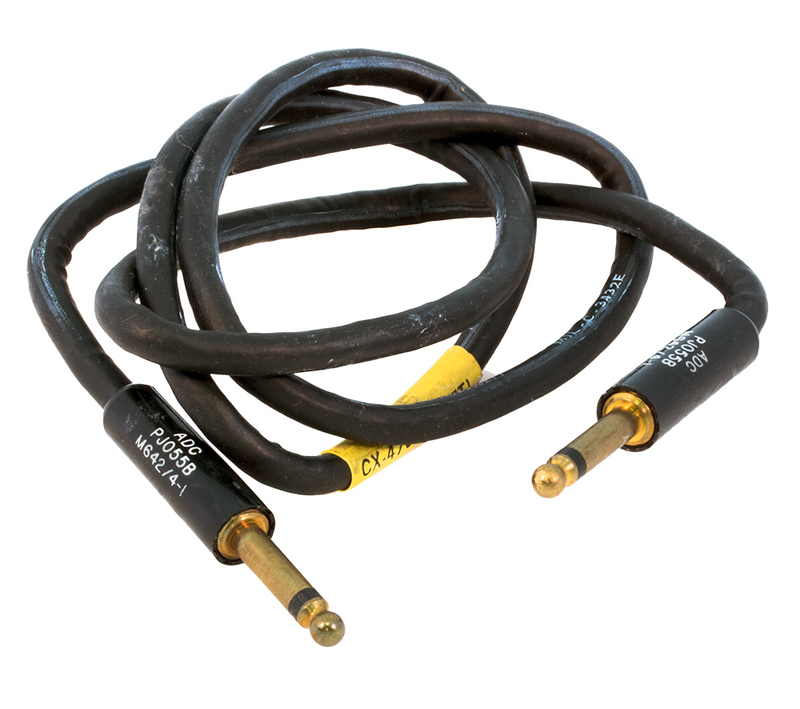 48" long, audio cable, 1/4" mono brass plugs each end. Black woven cloth jacket. 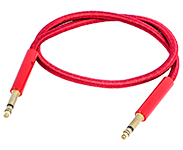 26" long, audio cable, 1/4" mono brass plugs each end. Black woven cloth jacket. 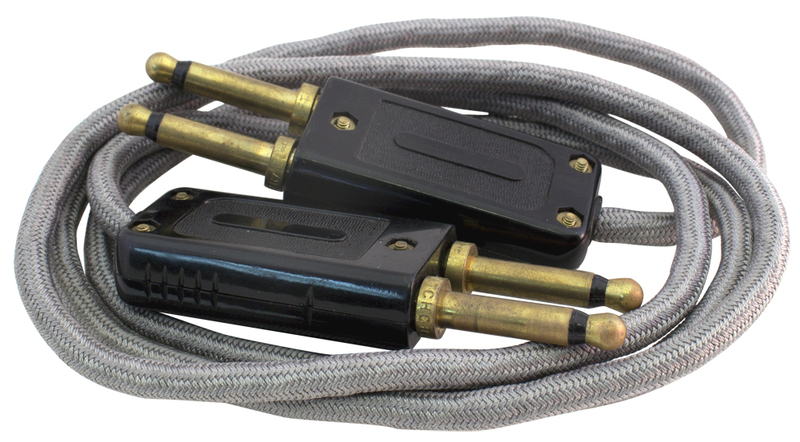 Audio patch cable. 12" long. 1/4" mono brass plugs. 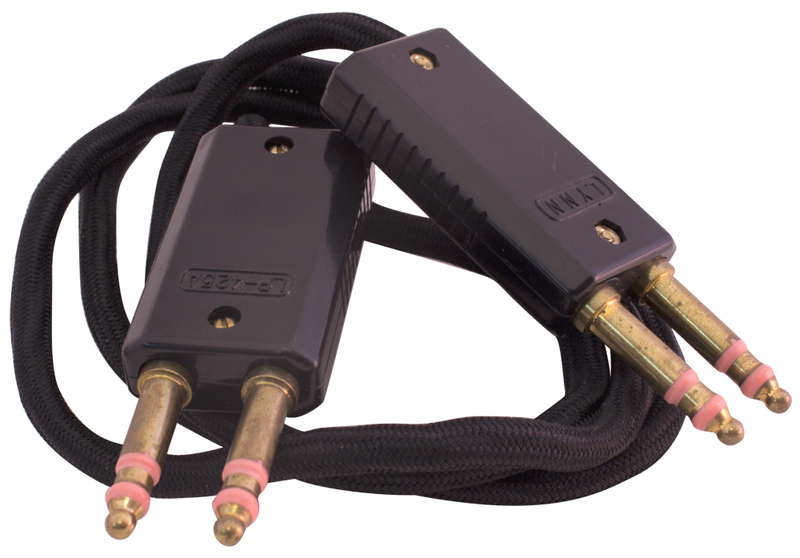 Cable span between plugs is 5.25”. PJ-047B. NSN: 5995-00-926-0785. 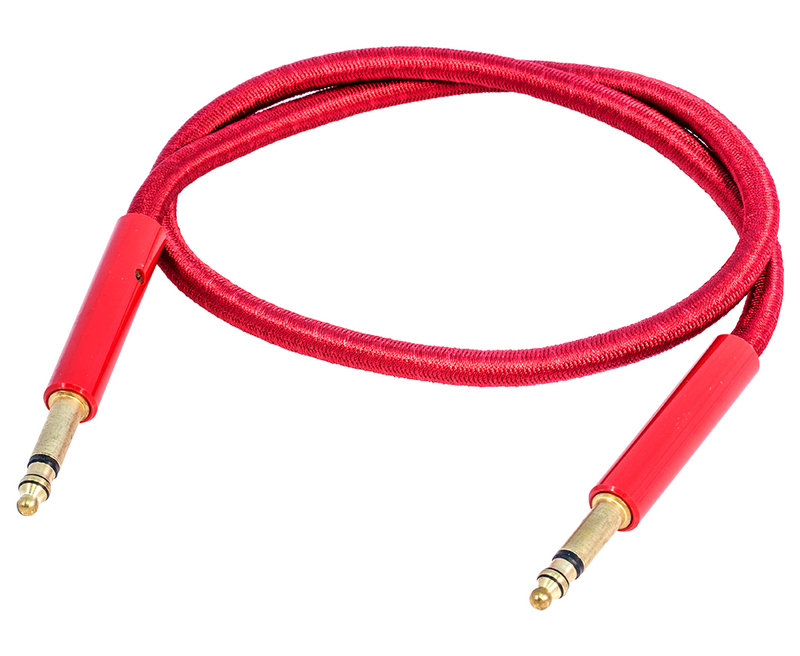 Rubber jacket audio cable. 4 feet long. PJ055 1/4" mono connectors on each end. Brand new in sealed military bags in sealed cartons of 100 pcs. Made in 1983 in the USA. NSN: 5995-00-681-8429. 1/4" stereo plugs. Woven cloth, red. 29" long.